One of Mixmaster Mike’s (Beastie Boys) favourite DJs, described as ‘The best DJ in the World’ by Hudson Mohawke, labelled a genius by DJ Qbert and referenced continually by the current crop of World Champion DJs as a major influence. It’s safe to say that Woody may well be your favourite DJ’s favourite DJ. Afternoon vibes from Dave Code (Pushin’On) and Sideshow residents Shellsuit and Stew Bamrah. 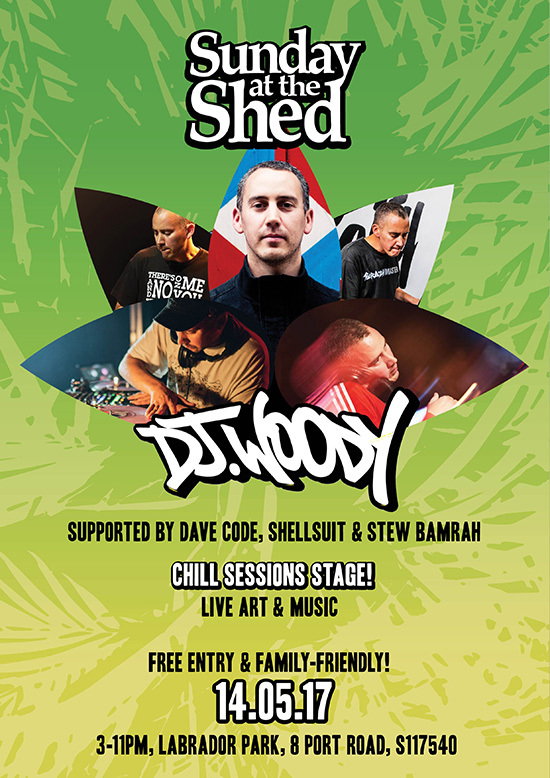 We also have a second stage with our friends at Chill Sessions. As always, free entry and kid and dog friendly. No outside food or drinks please – support the venue and artists! Lock in the date and we’ll see you at the shed!